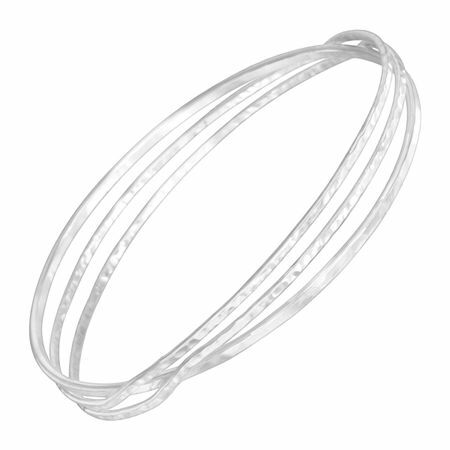 The Interlace Bangle is crafted in hammered sterling silver and features three bangles fused together at points across the band for an eclectic, yet put-together, look. Bracelet measures 8 by 5/16 inches and features an easy slip-on design. Piece comes with a “.925” sterling silver stamp as a symbol of guaranteed product quality.